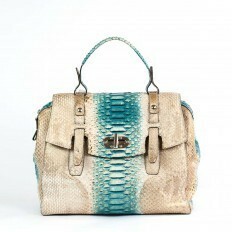 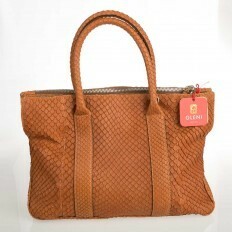 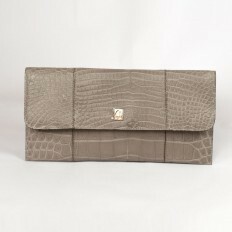 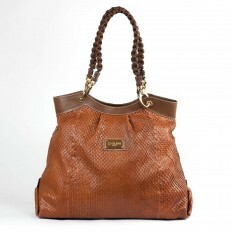 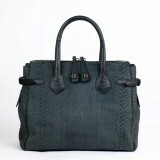 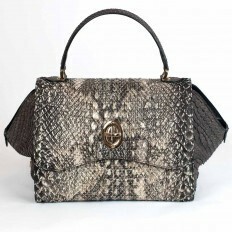 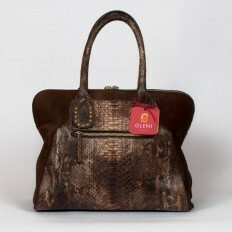 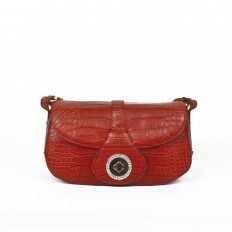 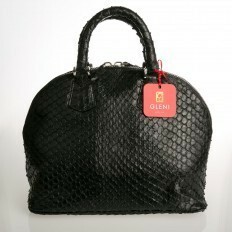 Anaconda leather is, since always, symbol of refinement and class. 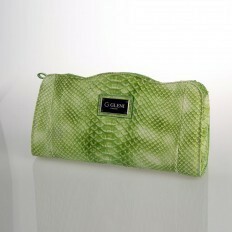 Despite python skin, anaconda scales are all regular and same-sized. 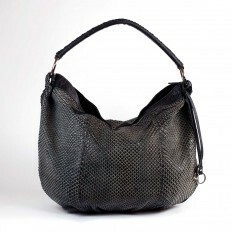 If you look at them in their totality, they seem reproducing a perfect geometrical texture on the leather and, thanks to the different assumed tonalities and streaks, they transform every product into something absolutely original and unique. 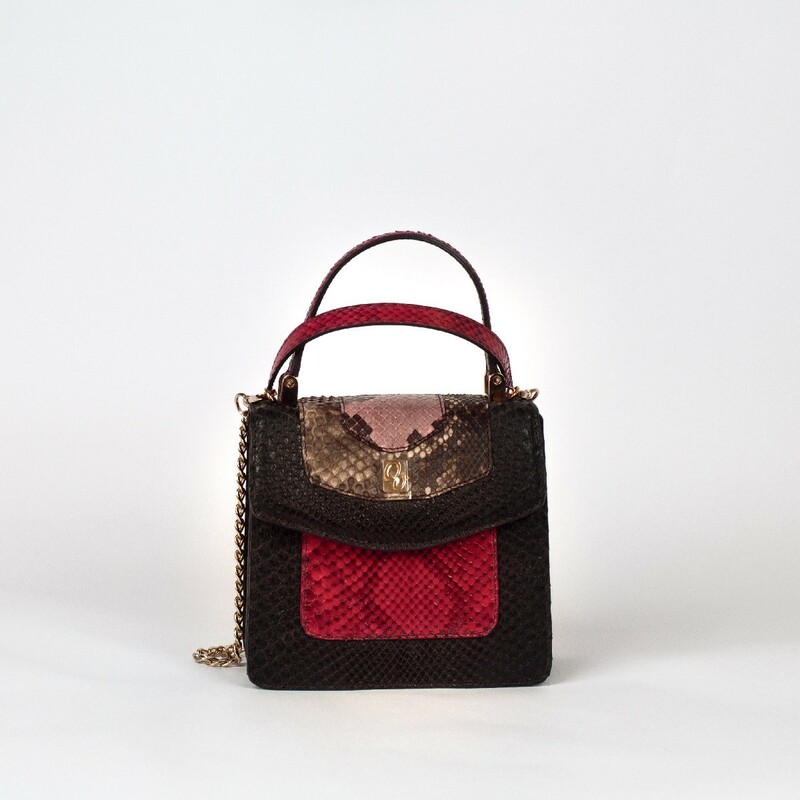 The handbags available in this section are all handmade in Italy, in a waste range of models and colours going from classic black, cognac and dark brown till to the more eccentric laminated sky-blue. 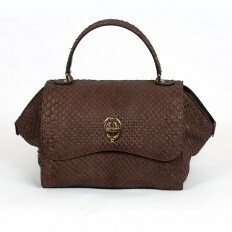 Glamorous are Nabuk anaconda bags, having a velvety effect, a Must for the woman loving appearing seductive and polished in her look.